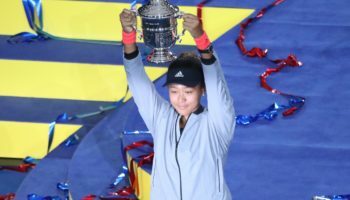 We hope you have a great Labor Day in store, and we also hope that, if you’re a tennis fan and nowhere near Queens, that you log on and follow A Lot of Sports Talk‘s live blog of the 2015 U.S. Open. 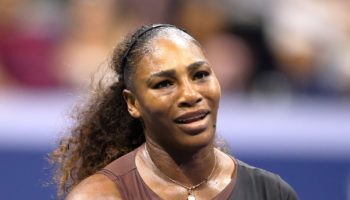 There’s no time to be depressed over the unofficial end of the summer when you have great tennis from all around the grounds of the Billie Jean King National Tennis Center. Also, you’ll never know whom you’ll run into when coming up to Flushing, as we got to find out when we got a chance to interview gold-medal winning gymnast Nastia Liukin, as well as retired undefeated boxer Laila Ali, the daughter of “The Greatest,” Muhammad Ali. It’s time to get blogging! Again, tell us where to go and we’ll be walking over there and reporting from the match for a few games. After some humid days, the weather couldn’t be more ideal to walk around and see some good tennis. So let’s do that right now, shall we? Here we go one more time! 11:23 PM EST: Three service games in the third set, and three routine holds. 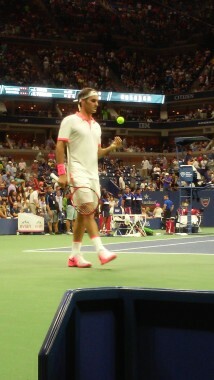 Federer up 2-1 in the fourth. Gasquet up two sets to one on Berdych on Armstrong, with Gasquet serving in the first game of the fourth set. Might head over there after this match ends. 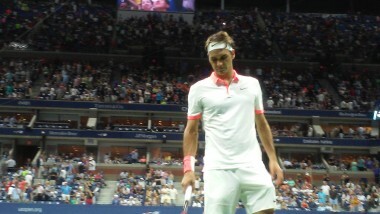 11:08 PM EST: Federer serving at 7-6…and a winner ends it! Federer takes another tiebreak, this time at 8-6. Two-set lead for FedEx. Third set might go quickly now. Isner has fought hard, yet nothing to show for it in terms of sets won. 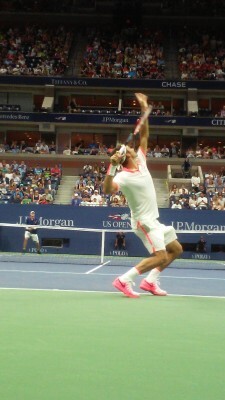 11:05 PM EST: Now 6-all as Federer nets a backhand! Clutch from Isner to save a set point. 11:04 PM EST: Isner drops both points! Set point Federer at 6-5. 11:03 PM EST: It’s 5-4 Isner in the tiebreak. John hits it long, and now it’s 5-5. 10:57 PM EST: Federer holds, and now we have another tiebreak. It’s a must-win for Isner. 10:55 PM EST: It’s Federer-Isner on Ashe we go, as we’re back in the pit. After Federer won first-set tiebreak, Isner up 6-5 in the second with Fed serving. Federer almost exclusively serving pout wide in this game. Now 30-all. Isner two points away from the set now. 10:02 PM EST: So where do we go? Federer-Isner on Ashe, or Berdych-Gasquet on Armstrong? Might want to check out the neon lights emanating from Berdych’s shirt. 9:01 PM EST: A clean sweep of the fourth-set tiebreak, and Kevin Anderson is in the quarterfinals of the U.S. Open! After eight tries, Anderson finally makes his first Grand Slam quarterfinal. Congrats, Kevin. So both Brits, Murray and Konta, get eliminated while playing at the same time. 8:54 PM EST: Tiebreak starts with Murray hitting backhand service return into the net. Screams at himself immediately afterward…1-0 Anderson. Now another backhand into the net from Andy. Mini-break to the South African. 8:53 PM EST: Murray hits a backhand volley winner at the net to set up game point. Points to the crowd immediately after hitting the winner. Muzzard finishes the game with an ace. Fourth-set tiebreak! Here we go!!! 8:50 PM EST: Murray starts service game strong…until Anderson hits a vicious forehand return that Murray can only dump into the net. 30-15. And now 30-30 after another Murray shot into the net. Crowd really urging Murray now. 8:48 PM EST: Murray holds for 5-all. Anderson wins first two points on his serve, however. Then Anderson hits forehand long after Murray retrieves an overhead. Crowd pretty partisan for Murray. 30-15. Anderson ends up holding, however, and it’s 6-5, and Anderson a game away from the match once more. 8:42 PM EST: And the wave has broken out! 8:39 PM EST: I’ve heard “C’mon, Andy” one too many times now. Not that I’m not rooting for him, but it’s that I’m sitting within an earshot of those shouts! Anderson with a couple of winners at net, and he holds for 5-4. Murray now serving to stay in match after changeover. 8:39 PM EST: Murray holds at love, and we’re at 4-4. 8:28 PM EST: We’ve finally made it to Armstrong again, and we’re on serve; 4-3 Anderson in the fourth, with him leading two sets to one. Murray saved a couple of break points two service games ago at 1-2. 7:58 PM EST: Andy Murray channeling his inner LL Cool J, perhaps? After being up a break, Murray forced into a tiebreak, but pulls it out 7-2 and cuts Anderson’s lead in half, two sets to one. Back to Armstrong…and those narrow seats…and spotty Internet. 6:50 PM EST: We’re here in Armstrong once again (in the narrowest seats possible), where Kevin “Mister Anderson” Anderson just closed out the second set, 6-3, and is up two sets on the No. 3 seed, Andy Murray. Media members around me are calling it a surprise, and it is. But I remember one of our tennis contributors/savants, Brad Wilber, predicting during last year’s Wimbledon that Murray, who was defending his title, could have trouble against a player like Kevin Anderson. That thought and article creeped into my mind even before this match started, and look what’s happening! Thank you, Brad, for being such an expert in tennis…and such a thorn in my side when solving one of your crossword puzzles! 5:20 PM EST: Many things happening on and off the court for us. Halep closes out the third set, relief on her face as she toughed out that match against Lisicki while far from 100 percent. Wawrinka closed out Young in four sets. 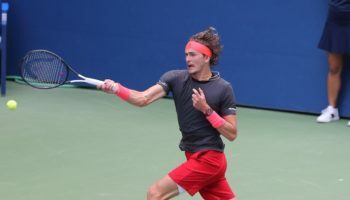 Young, who should be on a high (and probably still is) after reaching his first Round of 16 in a major, now has to travel to Uzbekistan in a couple of days as part of the U.S. Davis Cup team that’s hoping to defeat the Uzbeks in the World Group Play-off. But the biggest piece of information is going to be on the next timeline blog. 4:15 PM EST: Halep now two points away from the match. 4:06 PM EST: At 3-2, Halep breaks and is up 4-2. Looking a little fresher, but still in pain. Essentially, the longer you can get Sabine in a match, the more likely her groundstrokes would break down. Even with compromised state, Halep still much more consistent, and now is two games away from the match. 3:36 PM EST: Somehow, Halep guts it out and takes the set! Earlier in the game, she was in knees in pain after a point, and a couple of minutes later, she wins the set. The heat rule is in effect, so both players took a 10-minute break, which could really benefit Halep given that she could barely stand by the end of the set. Hoping for a great third set. Have to run back to the media room, then back to Armstrong! 3:29 PM EST: Halep in real pain as she wins a point chasing the ball up and down baseline. Already came in with a leg injury. Crowd gives both players an ovation, probably more for Halep for gutting it out. 3:25 PM EST: Halep holds for 6-5. Was gifted a point when Lisicki could have hit an overhead smash, only to be caught in two minds and try a drop shot, which she netted. Lisicki looking to hold for another tiebreak. 3:22 PM EST: A forehand just wide from Halep and a backhand winner down the line from Lisicki and it’s 5-all in the second set. 3:21 PM EST: Lisicki nets a backhand on game point and it’s now deuce. Two points away from 5-all or two points away from the set for Halep. 3:17 PM EST: The action has really heat up here at Armstrong. Halep broke at 4-3 and had served for the set, but an amazing 30-plus-stroke rally won by Lisicki the catalyst in breaking right back. It’s Sabine serving at 4-5, but now down 15-30 on her serve. 2:42 PM EST: Lisicki determination, Halep errors give the German the first set, 8-6 in the tiebreak. 2:39 PM EST: Lisicki saves set point, and they change ends with 6’s wild…6-6 in tiebreak. 2:25 PM EST: Here’s our interview from earlier today with 2008 Olympic gold medal-winning gymnast, American Nastia Liukin. We talk about the importance of youth being active, her greatest memories from Beijing and how she and her fiancé met. 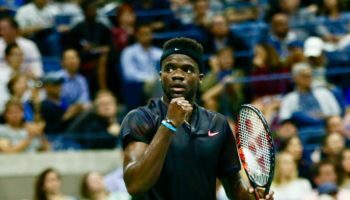 2:14 PM EST: We’ve decided on Armstrong to start, as, given the way Donald Young has been playing, we’ll wait for him to drop the first two sets before going over to Ashe. (He just dropped the first set to Wawrinka, 4-6.) Waiting for changeover as it’s 4-all, but Halep has a break point opportunity as we speak. 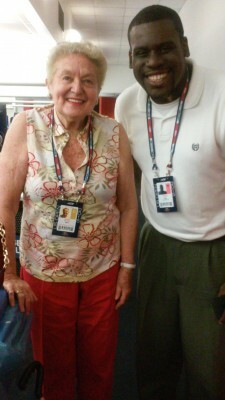 1:45 PM EST: We were going to head out of the media room at 2, after I conducted a one-on-one interview with Daniel Nestor, but he declined our request after his team’s loss in the men’s doubles third round. 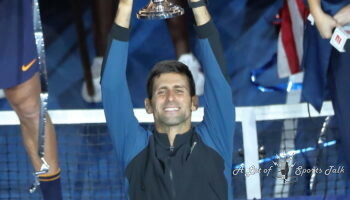 (One of the players on the winning team was Nestor’s most recent partner, Rohan Bopanna of India.) So now we decide between Ashe, Armstrong and Court 17. 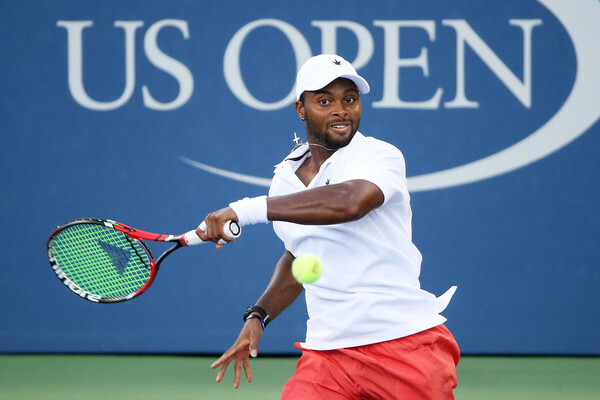 On Ashe, Donald Young looks to pull off another upset, this time against No. 5 Stan Wawrinka. Armstrong has the women’s No. 2 player, Simona Halep, taking on noted giant killer Sabine Lisicki. Court 17 features Kristina Mladenovic, who dazzled in her round of 16 victory in singles last night/this morning against No. 13 Ekaterina Makarova, as she’s playing doubles with her partner, Timea Babos of Hungary. What to do, what to do?!? 12:50 PM EST: Not out to the courts just yet, but can hear the roars of the crowd at Ashe, where Varvara Lepchenko is trying to stave off elimination, down a set and 3-5 in the second to Victoria Azarenka. The American in us would love to see Lepchenko pull it out, but, from the outset of the tournament, we predicted an Azarenka-Kvitova semifinal, and we’re getting ever so close to that happening. Now that would be an amazing semi, if it were to materialize. Kvitova is first on Ashe tonight against the British (via Hungary) qualifier, Johanna Konta. 12:24 PM EST: Already a jam-packed day so far for us, as we chatted with the aforementioned Nastia Liukin and Laila Ali, as they were here as part of a YouthTennis.com event promoting active lives for children. Oh, while interview Nastia, I caught one of those oversized nerf-like tennis balls right in the groin. I’m sure I’ll make it through the rest of the day despite the “damaging” blow.